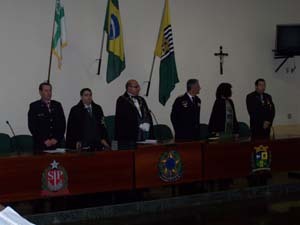 The sacred and solemn investiture of the Grand Priory of Brazil in 2011 was organized on the 30th of July at the main assembly hall of the City Municipality Hall of Boituva in Sao Paolo. 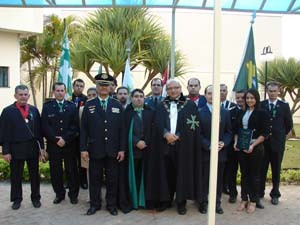 It was indeed a landmark investiture since it was the first investiture of the Hospitaller Order of Saint Lazarus of Jerusalem which was physically carried out in South America, since the consecration of the Brazilian Grand Priory was executed in Malta the year before, where the latter Grand Priory hosted a deputation from the Brazilian Grand Priory at the historic castle of Selmun, the last Castle in the Maltese Islands which was actually built by the Knights of Malta. The investiture was indeed very well attended, with the members and officers of the Grand Priory making their utmost to ensure that the visiting guests and dignitaries were made to feel at home. 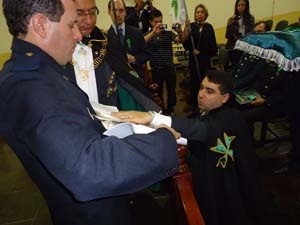 The importance of the Grand Priory of Brazil to the United Grand Priories was furthermore underlined when the Grand Chancellor of the Order himself confirmed that he would be the investing Grand Officer for the ceremony in Sao Paolo. 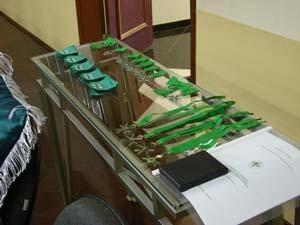 The ceremony was orderly and greatly appreciated by the congregation. 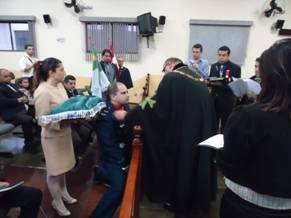 The Banners of the Grand Priory were blessed and duly authorised and a number of postulants joined the Grand Priory. The founding team of officers of the Grand Priory, who had worked very hard during the past year in securing a lasting structure against all odds, were also promoted during the investiture. 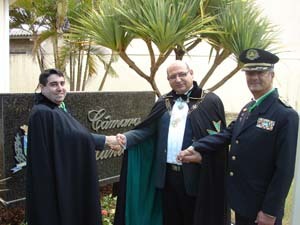 The Grand Chancellor, aided in translation by the ever-active Grand Prior of Brazil, the Chev. 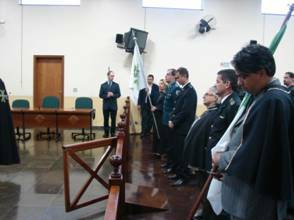 Roberto Ortiz, gave an outline of the works of the Order worldwide to the members and congregation.� He also read out a message of salutations from the Supreme Grand Prior of the Order, H.E. 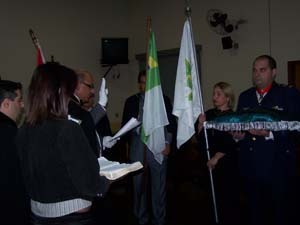 Richard Comyns of Ludston GCLJ GCMLJ. 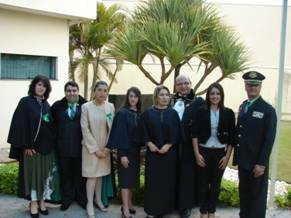 Several postulants were entered into the Order in the grade of Members of the Order (MLJ), with a further two postulants joining in the Grade of Officer of the Order (OLJ) and a further three postulants joining the Order with the rank of Commander of the Order (CLJ). 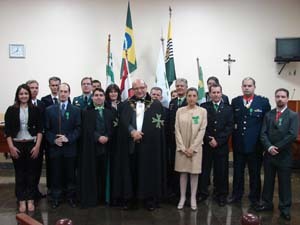 The Grand Prior of Brazil, before his peers and the members of his Grand Priory, was also elevated to the grade of Knight of Grace (KLJ) of the Order. 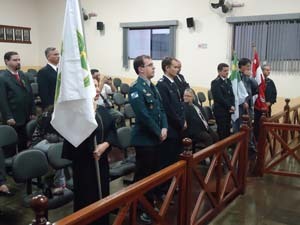 After the investiture, the guests and dignitaries were treated to a very informal drinks and also shown the various Hospitaller initiatives of the Order in Sao Paolo. 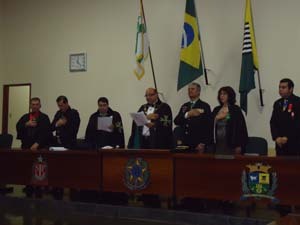 The Order congratulates the Brazilian Grand Priory on its zeal and perpetuation of Hospitaller work in this particular country.